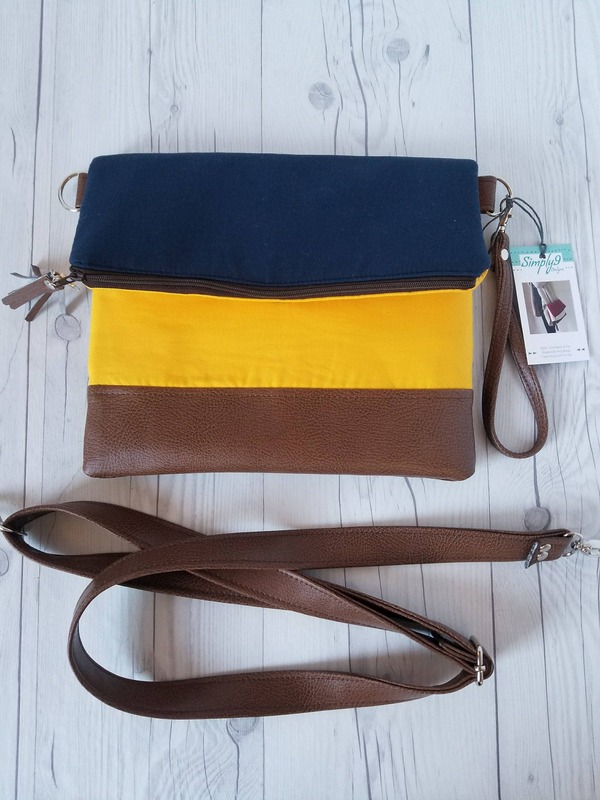 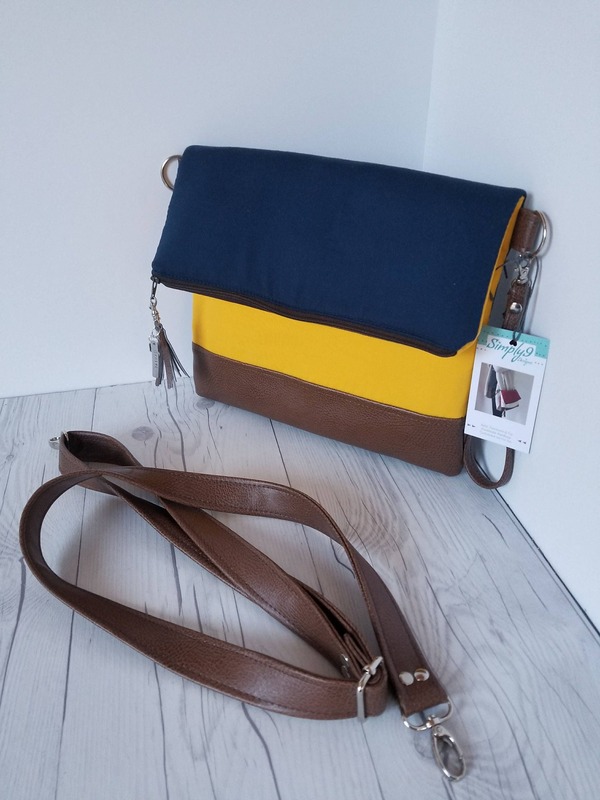 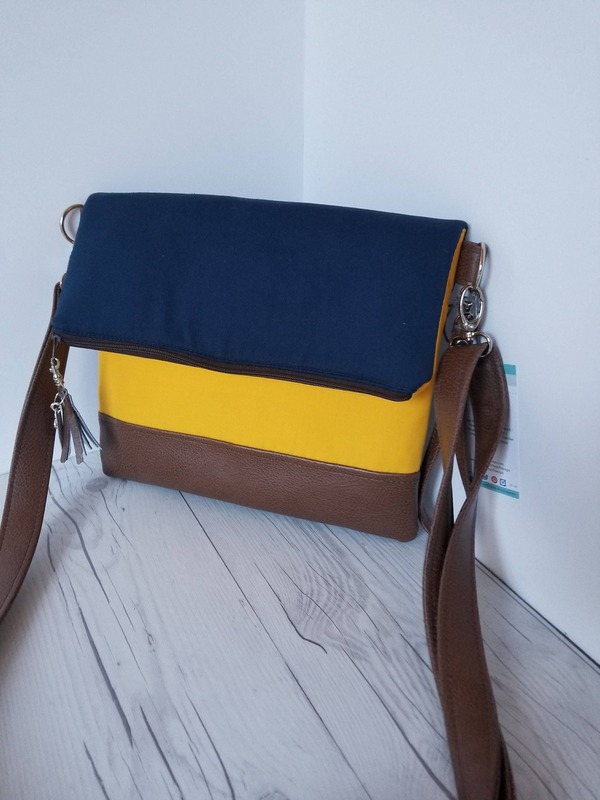 This is a Navy Blue, Yellow and Brown Faux Leather Crossbody Bag. 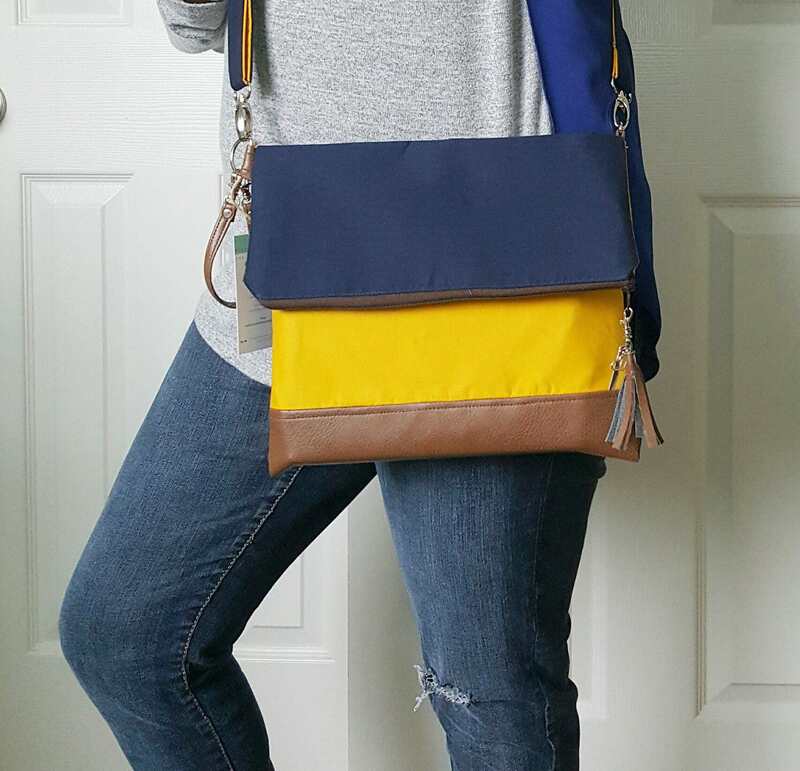 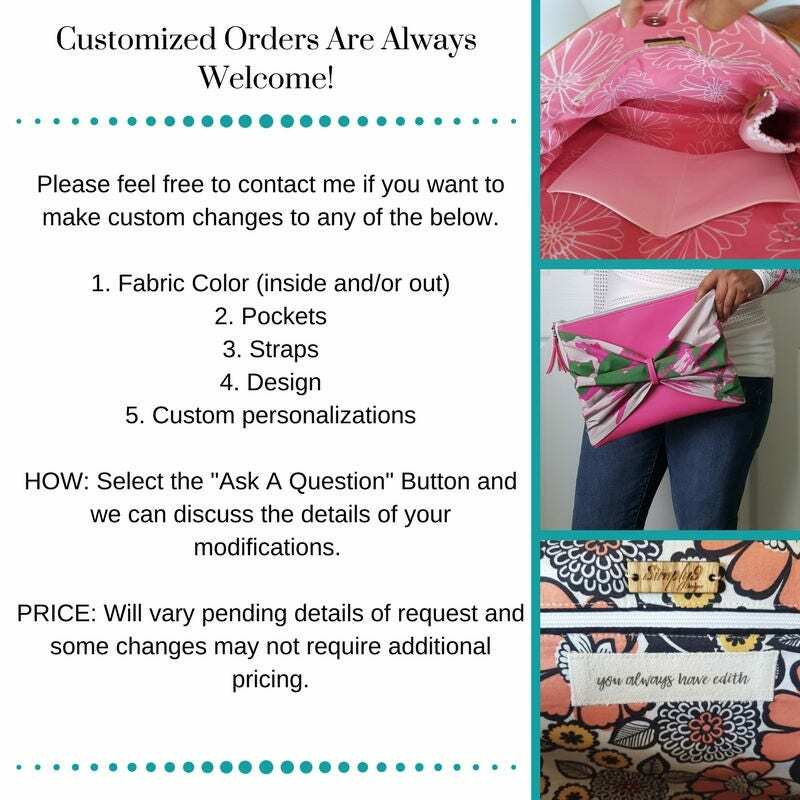 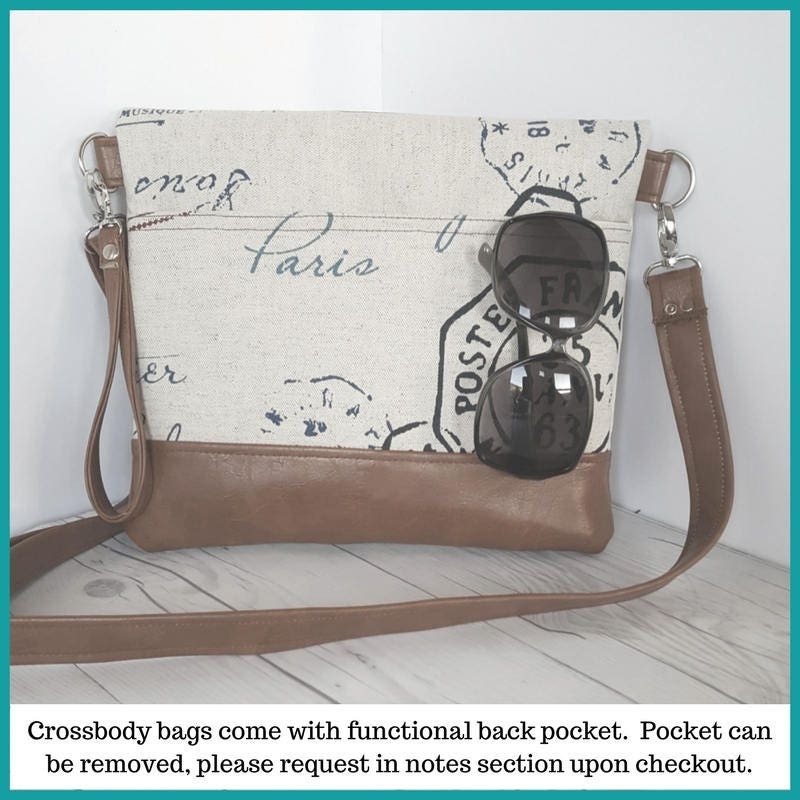 This one bag can go from a Crossbody bag, to Shoulder bag, to Wristlet, to Clutch with some simple changes to straps. 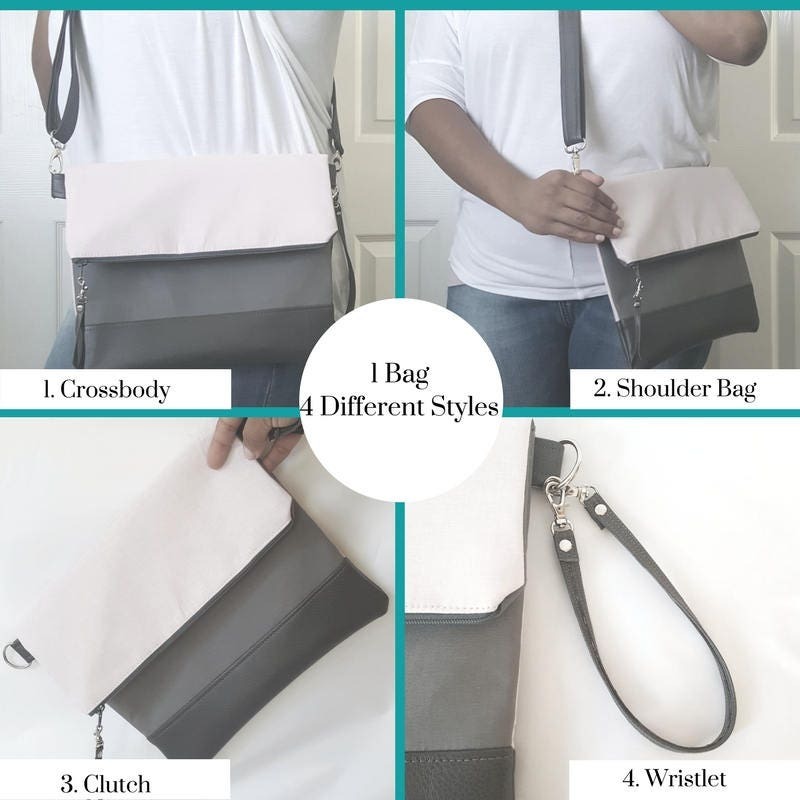 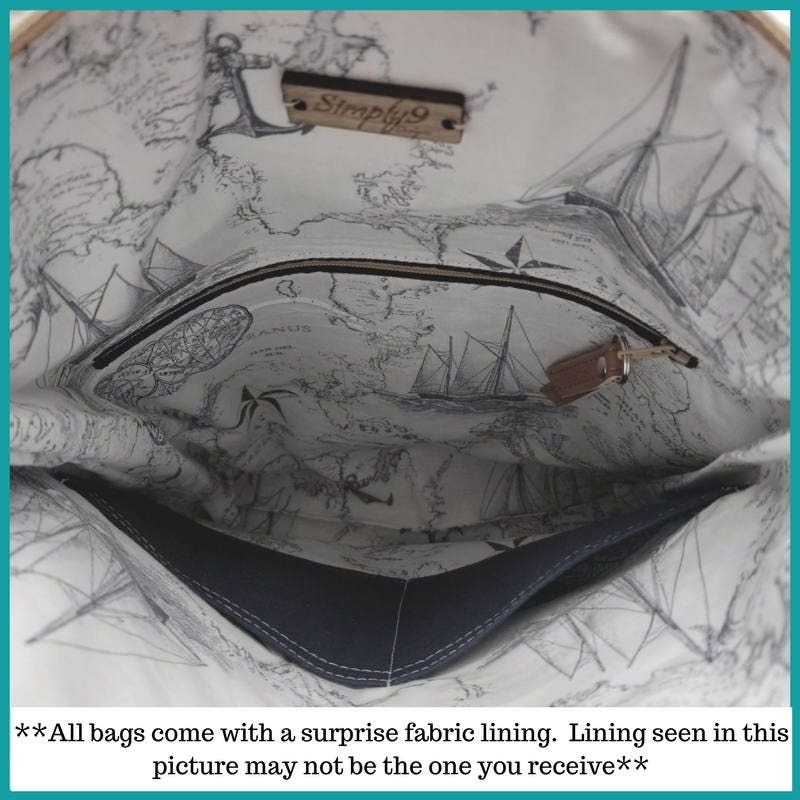 Quickly take this bag from day to night and see how well it pairs with either jeans and blouse/shirt or a cute dress.